In India, kabab lovers have it good. From street vendors to five star hotels, there are many choices. But the discerning foodie is not always impressed. 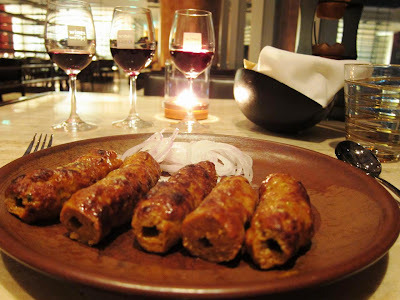 There is an art to the perfectly cooked kabab, one that retains its unique flavors and a succulent, juicy interior after making it past the fiery embrace of the tandoor. 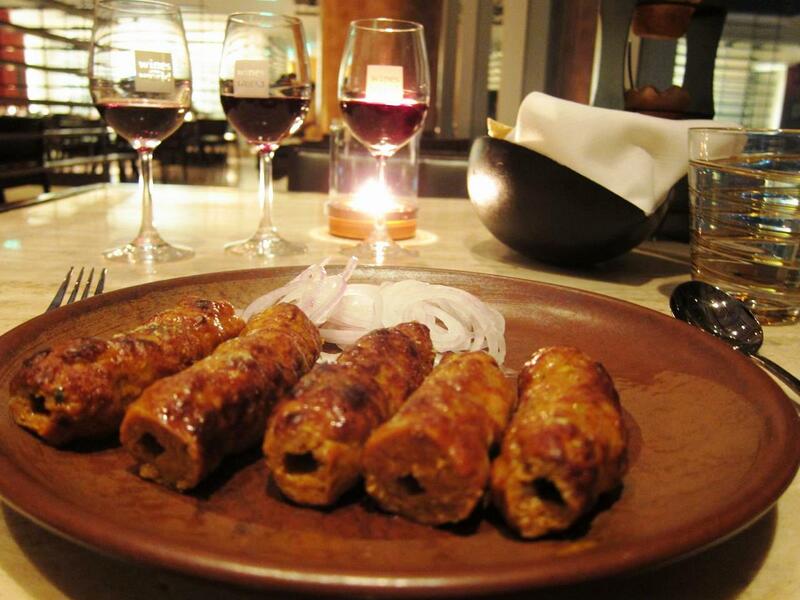 The most common kababs on the Indian dining table are probably the sheek kabab and the tandoori kabab. The sheek kabab is a variation of cooking that first showed up in Turkish tribes. Historical accounts speak of soldiers skewering chunks of lamb in a marinade of spices on their swords and spears before cooking them over open fires. They used a marinade made from olive oil, yogurt, onion juice, cinnamon, all spice and crushed bay leaves. 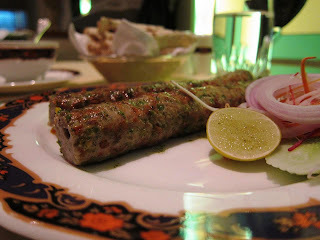 The sheek kabab in India is made from a course mince of lamb which is mixed with a paste of garlic, ginger and onion and a variety of spices that include (but are not limited to) black pepper, cinnamon, cardomom, cloves and nutmeg. Variations abound: many use raw papaya paste to tenderize the meat, while others use finely chopped peppers to add texture and taste to the dish. Tandoori kababs are simpler: whole chicken marinated overnight in a marinade of yogurt and a spice mix - distinctly bright orange in color from paprika and cayanne pepper - which is skewered and cooked whole in a tandoor. 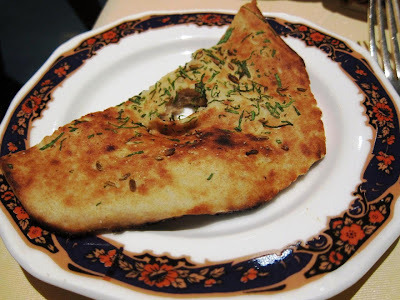 Cooking breads and meat in the tandoor came to India with the Persian hordes who invaded India and subsequently made this country their own. 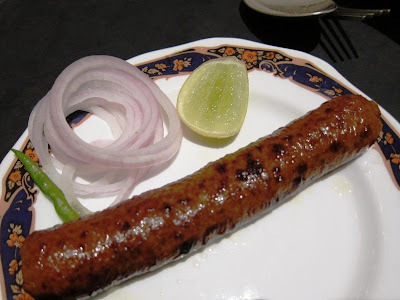 Tandoori style of cooking kababs are most popular in the Punjab region. As one goes further East towards Lucknow, where the gastronomic palates of the nawabs gave rise to some of India's most refined kababs, the prefered medium of cooking is on the chulha - an oven where cooking was restricted to the surface (as opposed to within as in the tandoor). 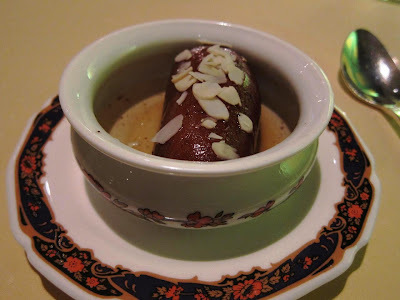 A few weeks back, I was at Kangan, the Indian speciality restaurant at the Westin Mumbai. 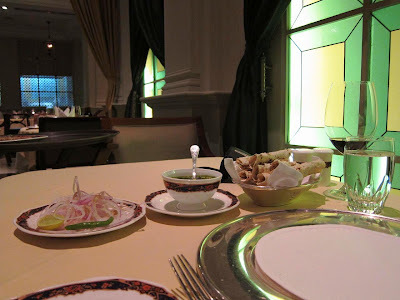 Watching the traffic snake below in the darkening evening skies, I ordered a portion of sheek kabab with my wine. The Kangan has an innovative concept of wine tasting along with the food. Today, they brought me three small glasses of reds: two South African one Indian. While the ambiance was excellent, the kababs weren't particularly memorable here. 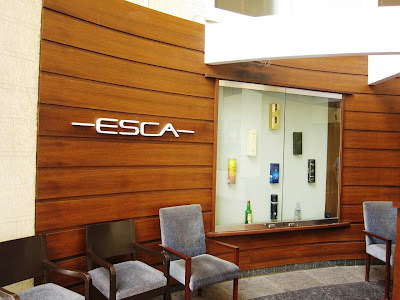 I was also at Esca, a new restaurant in Pune. The Chakori kababs here were pretty good. Chakori kababs are chunks of chicken that are marinated in yogurt and other spices but fenugreek - methi in Hindi - dominates the taste. This restaurant seems like a good option for a quick lunch or an intimate dinner when in the vicinity of Aundh. And finally, I was back in Dum Pukht. This time I ordered the Sheek Gilafi Dum Pukht, an interesting variation on the sheek kabab. The kababs were as impressive as the name! Minced chicken sheek was combined with a mouth-watering combination of juicy tomatoes and capsicum that exploded in a multitude of flavors and textures in the palate. The khaimiri roti was fantastic too as was the rich flavors of the Hyderabadi Nihari Qurma that followed. That was some meal! 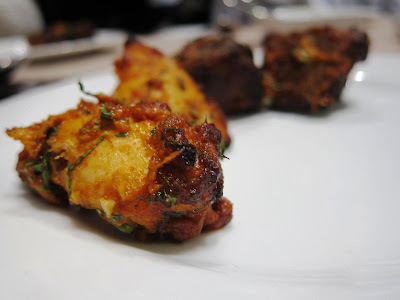 For those in Pune, the best bets in town are The Great Kabab Factory at the Radisson Hotel in Kharadi, Sigree on Boat Club Road, Shikara in Kalyani Nagar, Taareef in Aundh and BBQ Nation on Nagar Road and within Sayaji Hotel. 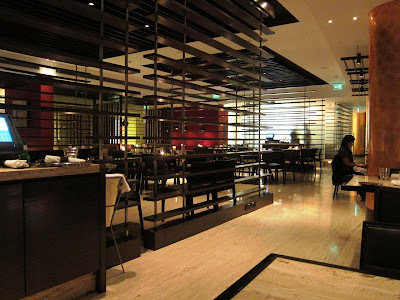 I haven't been a huge fan of Kareem's expanding presence in Pune - they have been very inconsistent with their quality. 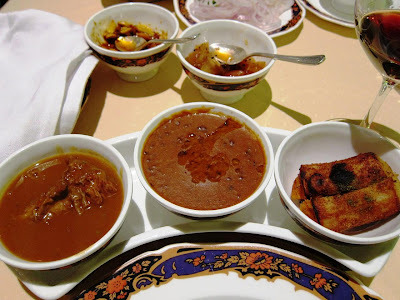 For more on kababs, read: Of Nawabs and Kababs, Kababs In and Around Delhi, Kababs at the Baluchi, and Unlimited Kababs to Heaven.